Do any of the above describe you? 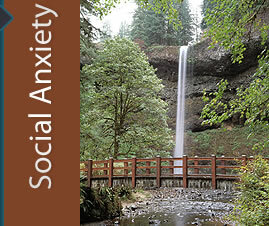 Many people dismiss social anxiety as simply shyness or a personality trait. Most people get a little anxious when delivering a speech to a crowd. People diagnosed with the condition, social phobia--also known as social anxiety disorder--may avoid many social situations out of fear that others will notice something unusual about them, like their shaking hands or blushing, and that their actions will embarrass or humiliate them. Social phobia is generally more debilitating than phobias focused on singular circumstances, such as a fear of thunderstorms or animals. Being afraid of interacting with others can have negative effects on most areas of your life including: work, family, social life, recreation, spirituality, and health.